The 25th of May 2018 was a day full of excitement at the Mabamba wetlands Bay when a Shoebill was being returned after undergoing a three months treatment at Uganda Wildlife Education Centre. On the 31st of January 2018, the Shoebill choked on Talapia while feeding at Mabamba Bay wetland. The bird developed complications and was spotted by a one fisherman (Ssazi) who after observing it for a week and then notified the Mabamba Eco-tourism Association (MWETA) chairperson who immediately contacted UWEC for rescue. The Shoebill is a globally threatened species, vulnerable according to the IUCN Red List. 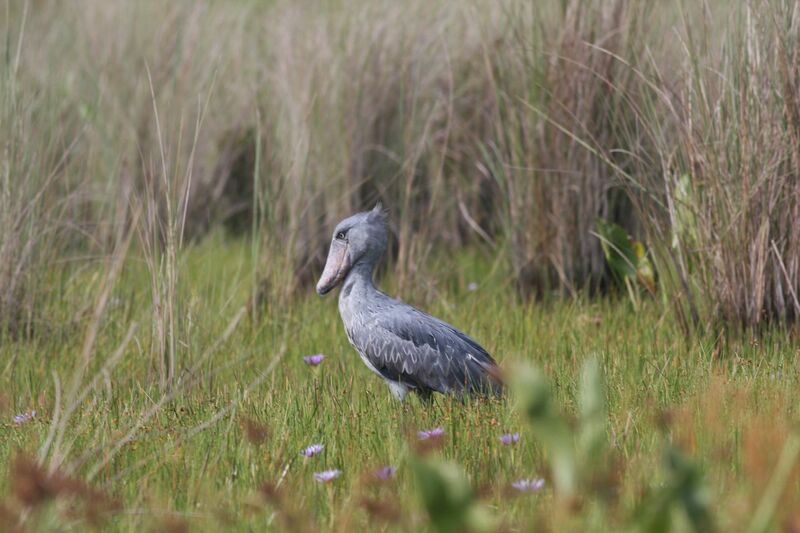 It is found in only 8 countries in Africa and Mabamba Wetland, an Important Bird and Biodiversity (IBA) also a Ramsar Site is one of the areas inhabited by the Shoebill in Uganda. 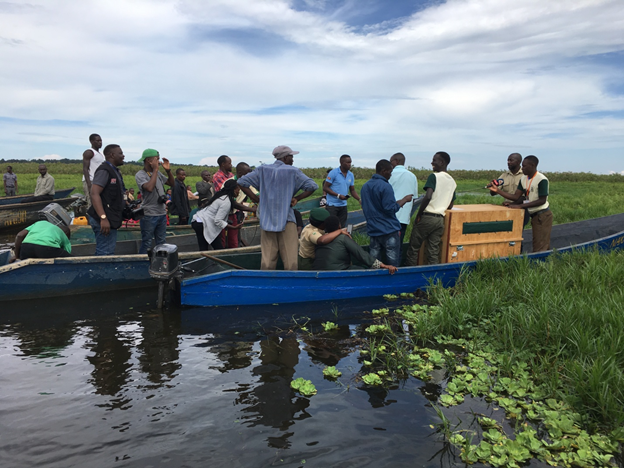 An event to celebrate its return was held at the Mabamba wetland bay and it attracted a number of parties that are are involved in its Conservation. The returned Shoebill was given a name “Ssazi” after the man who made the first call for rescue so as to encourage the local people to carry on conservation of the vulnerable species. Among the parties were; Uganda wildlife Education center, NatureUganda, Uganda Wildlife Authority and a number of tour operators led by the director of Bird Uganda safaris. In attendance also was the religious persons who are tenants to the land on which MWETA offices sit and representatives from the Local Government. Remarks from diffent stakeholders present were directed to congratulating the Mabamba community especially the fishermen for expressing deep concern to wildlife conservation. NatureUganda while conveying their message appreciated the community for giving back Nature. This they said was demonstrated by the actions they took to rescue the shobill species from danger and restored its life. Mr. Byaruhanga Herbert, the managing Director Bird Uganda Safaris, applauded the Mabamba Community for seting a good example. He requested the community to be watchful for such cases and also warned them about illegal people who come to the wetland with unclear reasons. He congratutalated them upon attaining the will to promote the conservation of wildlife and Nature at large.